Guidebook to walking the Snowdonia Way in Wales, a long-distance route through Snowdonia National Park from Machynlleth to Conwy. Low-level route of 97 miles (6 to 8 stages) includes Pass of Aberglaslyn, Ogwen Valley and Aber Falls. The mountain route is 122 miles in 9 stages, including Cadair Idris, Snowdon and Glyders. With planning information. This guidebook describes the Snowdonia Way in Wales, a long-distance route through Snowdonia National Park from Machynlleth to Conwy. 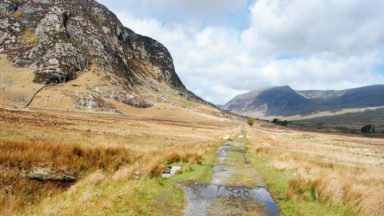 A low-level route of 97 miles (in 6 stages of between 13 and 21 miles) passes through the heart of Snowdonia’s stunning mountain scenery and includes Pass of Aberglaslyn, Ogwen Valley and Aber Falls. It is suitable for walkers of average fitness and stamina, though days are long. 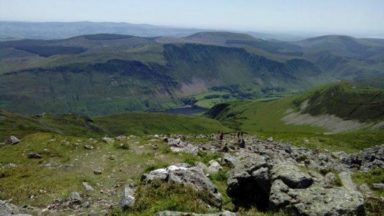 An alternative mountain route covers 122 miles in 9 stages of 12–18 miles giving a spectacular journey over the most famous peaks such as Cadair Idris, Snowdon and Glyders. The high-level route is more physically challenging and requires good navigation skills. Stage 1A Machynlleth to Abergynolwyn (Mountain Route): Access through Rhos-farch now seems to be restricted. From SH 6995 0142 you now need to go N to SH 69847 01850 and then follow the newly way-marked RoW SSW to Rhos-farch and then NNW onto Ffridd Rhos-farch. Stage 3 page 83 after leaving Penrhyndeudraeth there are ongoing forestry operations which have caused some changes to the landscape as described in the book, specifically one or two of the paths to Rhyd. The route is still open and is a public right of way, and people have managed to find their way through. The major change is that what was once a path is now a large forestry vehicle track. Please use your intuition to find the right way through. Contained within the tried, tested and popular framework of a Cicerone user guide comes Walking the Snowdonia Way, a captivating south-north route through the National Park from Machynlleth to Conway. The route is presented in two forms, a 94-mile low-level version (main) and a 122-mile high-level approach (mountain). The low level route includes the Ogwen Valley and takes in hillside paths, forested slopes and Roman roads. 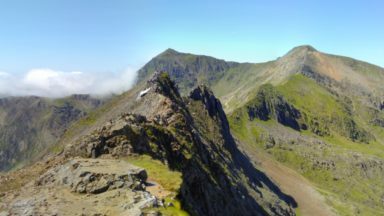 The mountain route intersects with the main route but also includes Snowdon, Cadair ldris, Cnicht and the Glyders, as well as some less well-known peaks. The usual Cicerone formatting provides information, advice and sets the scene in leading up to the bulk of this publication, which is justifiably dedicated to the route description. Photographs are in abundance and provide constant, mouthwatering insights of the journey, while the strip maps amply support the text and make for a committed and reassuring literary guide, whether attempting the route in its entirety, over sections, or simply using the book to sample parts of the area. There are six stages, some split into (a) and (b), each one opening up with all the essential, basic details, such as start, end, distance, ascent, terrain, availability of supplies and a brief outline of the route, before describing the walk. This route hardly requires it, as inspiration comes naturally, but the quality and brightness of the Cicerone publication only enhance a walk of this magnitude, backing up the basic concept with crisp text, graphic images and a catalogue of facts, while the classic size of the book, in Alfred Wainwright tradition, is compact, light and pocket size, but still able to open effectively when put in a map case. 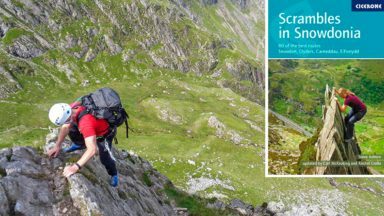 "An essential guide for anyone contemplating this north Wales challenge"
With Cicerone you’re always guaranteed the kind of detailed walking guide that brings fresh life to a trail, and this new Snowdonia Way handbook is no exception. Following a spectacular route through the national park from Machynlleth to Conwy, the 176-page guide will appeal to all Eryri-lovers. The descriptions and depictions by the author Alex Kendall are tantamount to experiencing the highs of hiking across the Welsh Wonders of Snowdonia. 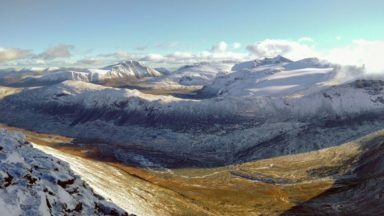 As you are guided through the eyes of expert mountaineers, the realistic perspective of what to expect with detailed trails means that a large part of the planning has been done for you. Now the time has come to embrace Snowdonia’s scenic sights. Inside Walking the Snowdonia Way you'll find all of the necessary information to get you prepared for the walk, while it also provides detail on the mountain route, a 122-mile walk that takes in the likes of Cadair Idris, Snowdon and The Glyders. 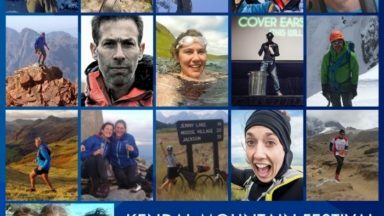 Alex Kendall is a mountain leader, working in summer and winter throughout the UK and abroad, leading groups on day walks, challenges and long distance journeys. 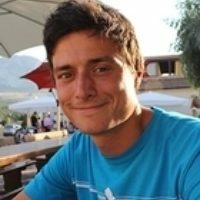 He enjoys getting people into the outdoors, especially through supervising Duke of Edinburgh's Award expeditions and running weekend walking trips for adults. He has been walking in Snowdonia for over 10 years having been introduced to these mountains as a student.